Use the provided tool to carefully remove the SIM/SD / Memory Card tray. 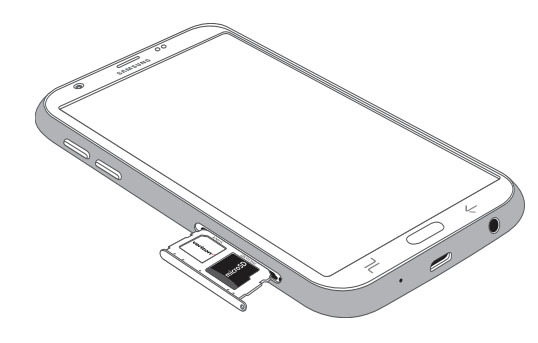 The SIM/SD / Memory Card tray is located on the left edge of the device when facing it. With the gold contacts facing away and the notch in the lower-right, insert the SD / Memory Card into the tray as shown. Press gently on the card to lock it into place. Re-insert the SIM/SD / Memory Card tray. Check out these interactive demos (J7 V or J7) for more info.